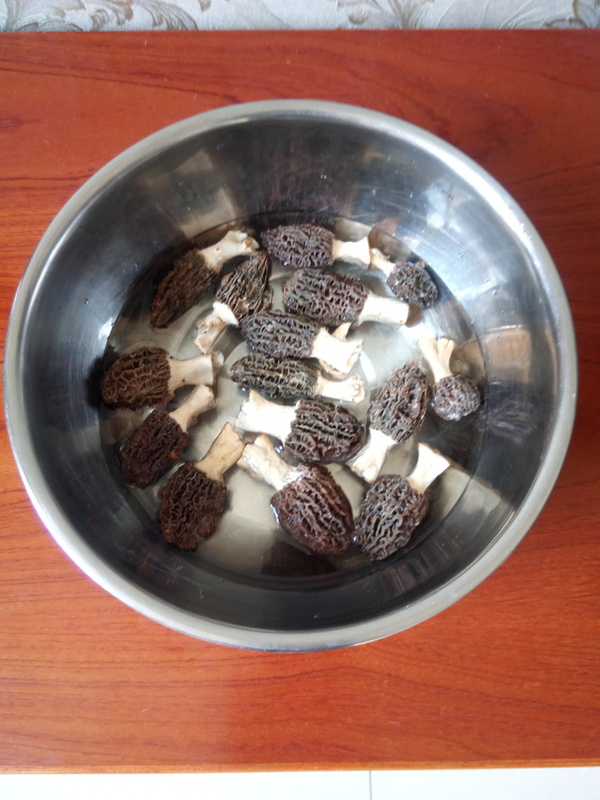 This post was going to be about mushrooms generally, but while gathering ingredients I came across something particularly exciting: morels. If your local supermarket stocks this fabulous fungus then I urge you to try some now, while it’s in season. 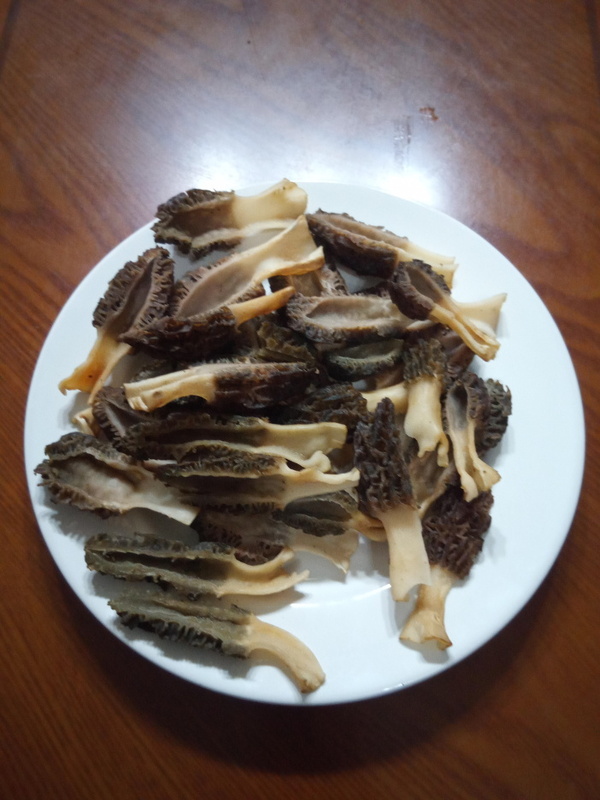 At nearly RMB 300 per kilogram, it’s not exactly cheap, but that’s still almost half the price you’d pay in Europe or the US (if you can find morels at all.) 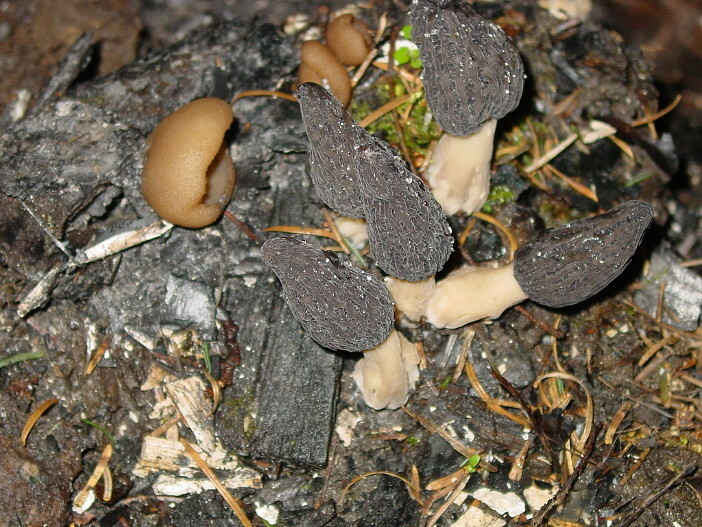 The reason it’s so expensive is that the morel has resisted all attempts to cultivate it, and can only be found in the wild, where it mostly grows on trees. The morel doesn’t have the same glamorous reputation as its subterranean cousin the truffle, but for my money it’s a richer and more complex experience: woody, nutty, and meaty, delicious with either a full white like a Chardonnay or a luscious red such as Primitivo. Rinse the morels in clean water. Pour a cup of boiling water into a bowl, and add salt (enough to kill any lurking life, but not so much as to ruin the flavor; a couple of tablespoons should do it.) Then add cold water until the bowl reaches room temperature. You don’t want to boil your mushrooms! 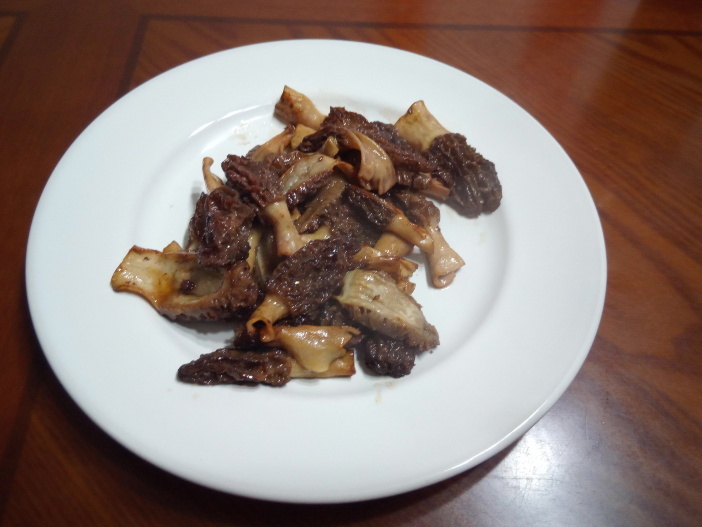 Soak the morels in the salted water for 15-20 minutes, then drain. Remove any stray bits. Cut the morels in half lengthwise. Remove any remaining dirt inside with a damp piece of kitchen roll. 5. Get a heavy frying pan nice and hot, then dry fry the morels for a couple of minutes until they brown. Add a pat of butter and saute. At the last minute, chuck in a little splash of wine to deglaze the pan. Serve and savor.